We have just completed an on-line ordering feature on our website that you can use to order uniform items at any time. These orders will be processed promptly and the uniform will be available for collection from the uniform shop during normal opening hours, or arrangements can be made to collect from the school office. If you have any uniform shop inquiries please contact the office. The uniform shop is located at the backend of the cafeteria building and will be signposted during opening times. For formal occasions or when representing the college blazers MUST be worn. Please Note prices are subject to change. On enrolment, parents sign up and agree that their son will attend the College in the correct uniform at all times. The uniform is to be worn neatly and in good condition. The College makes every effort to see that students’ display, both in and out of school grounds, a well presented image in which all associated with the school can take pride. The wearing of the correct and tidy uniform is seen as a sign of personal pride as well as presenting a good image of the school. 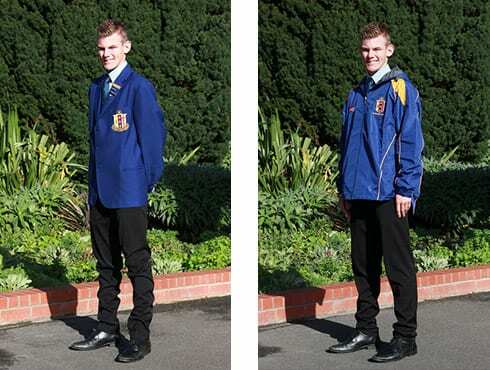 The dress uniform including blazer is to be worn by Yr 11-13 students at all formal College functions and when representing the College. Sports Uniform: (All Levels): College PE sports shirt (according to house colour), blue college sports shorts and non-marking running shoes. Sports shoes must be worn for outdoor and cross country running activities. Sports Codes: All sports uniforms and tracksuits must be approved by Board of Trustees and must not be worn as part of the day or dress uniform. Personal Appearance: The uniform will be worn correctly at all times. Shirts must be tucked in. When the polo shirt is worn under a jersey or jacket it must be tucked in. Long sleeved tee shirts must not be worn under short sleeved shirts. The top shirt button must be done up with the wearing of the College tie. Socks must be worn pulled up at all times. No socks are to be worn with sandals. Short-term Exemptions: Short-term exemptions may be given on medical or genuine financial grounds at the discretion of the Principal. A note from parents is requested to allow a Principal’s pass to be issued. Ensure that every article of clothing and personal property is clearly marked and named. If you are in doubt about a particular item of clothing, check with the Deputy Principal - Pastoral Care. The fact that a non-uniform item of clothing has already been purchased is not a reason for wearing it to school. Additional Information Each year we have issues with a small number of our students regarding hair dyes, hair shaving, facial piercing, black sneakers, jeans and tee shirts. Below is some information to ensure all students and their families are clear on our policy regarding these issues. I hope the information is helpful. Hair: Hair has to be neat and tidy at all times. Students in Yr 11 and above who have visible facial hair are required to be clean shaven. If a younger student has begun shaving, then he is expected to be clean shaven all the time. Only hair dyes that imitate natural hair colours are permitted. If hair is dyed it must appear natural, not in stripes or patches of colour. Mohawks, shaved patterns and other extreme hair styles are unacceptable. Boys with long hair are expected to wear it neatly and tie it back when necessary for safety. Jewellery: Students are only allowed to wear a small single stud in one or both ear lobes. Earrings are to be smaller than 4mm. Hoops are not to be worn. Unacceptable jewellery items will be confiscated and returned to the parents. Any other form of body piercing is prohibited. Rings, bracelets or necklaces are not to be worn except College approved religious, cultural and/or similar artefacts. Visible tattoos or tattoo transfers are not permitted. 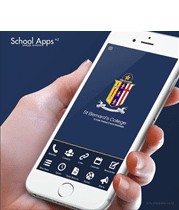 Uniform Shop St Bernard’s has established over many years a well-stocked, competitively priced and accessible Uniform Shop. All college uniform items can be bought from here. Payment options available are cash, cheque, eftpos, credit card, layby and online payment. Layby A deposit of 10% needs to be paid to start a layby and then you can make regular payments through online banking, at the school office or at the Uniform shop. Once the full amount has been paid the items can be collected from the uniform shop. Layby for a new enrolment can be set-up at the November fittings, or before the end of the school year. It must be fully paid before the start of the new school year, the items can then be collected in January during the special opening hours before school starts. 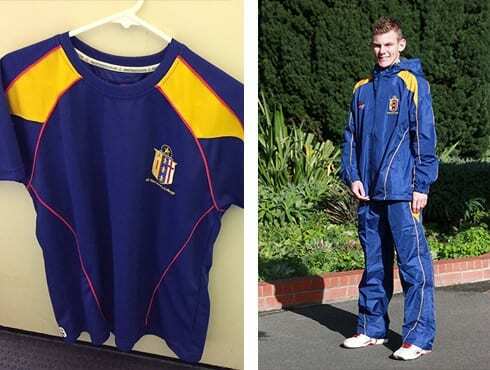 Pay Online Please e-mail uniform@sbc.school.nz for details on how to make online payments. New Enrolments We will be in contact with all our new enrolments in November to arrange special fitting times for new uniforms. If you don’t receive an e-mail and would like to arrange a fitting session please email uniform@sbc.school.nz directly to arrange this. 2nd Hand Uniforms Through the support of St Bernard’s Parents and Friends Committee we have a range of second hand school uniform items available for purchase. All proceeds are used to support the College. 2nd hand uniforms are available from the uniform shop.